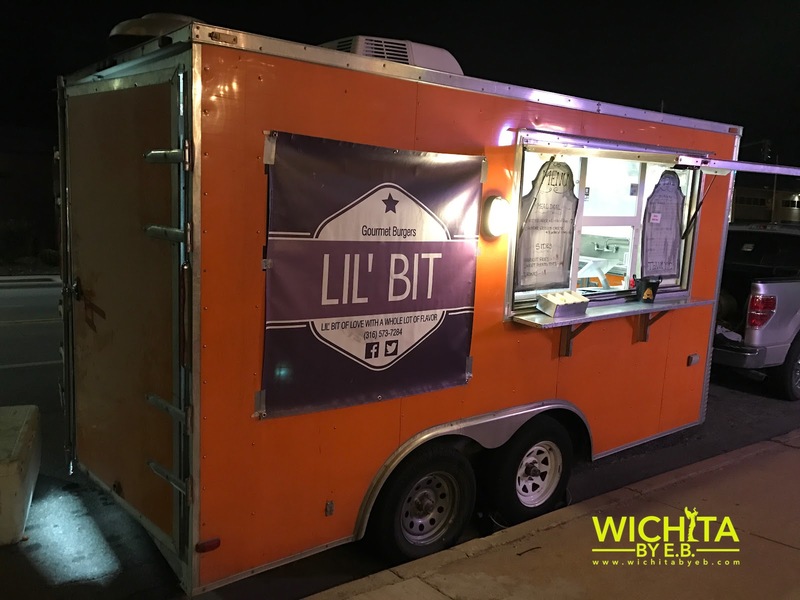 Food Truck: Lil’Bit Gourmet Burgers Review – Wichita By E.B. Sometimes for dinner you’re craving something simple and that’s exactly what the situation was for my niece and I over the weekend. We had some options on what to do for food but figured why not give something new a try. That led us to our latest food truck review on Lil’Bit Gourmet Burgers. On the stop to get some food to go, the menu looked very simple with burgers and grilled cheese sandwiches. I ended up going with the House Burger with a side of hand-cut fries while my niece had the Risean Grilled Cheese Sandwich. From ordering to time of arrival, everything took well under ten minutes. 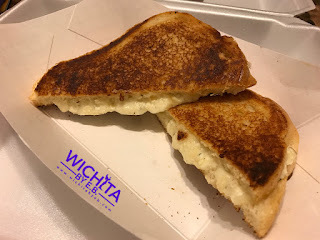 The Risean Grilled Cheese consisted of mozzarella, parmesan, ricotta and spinach on sourdough. It came with a side of marinara which was the perfect dipping sauce for my niece. At six years old, she wasn’t at the age to really appreciate the high quality grilled cheese sandwich but the fact that she finished it was the highest of compliments any restaurant or food truck can receive from her. Meanwhile I had the House Burger and was very pleasantly surprised by it all. While a bit greasy, there was loads of flavor packed into the burger. The sauteed onions, bacon and most importantly the house sauce really made for a fantastic burger. It’s very rare I have burgers these days especially after doing my 30 burgers in 3 months blog. 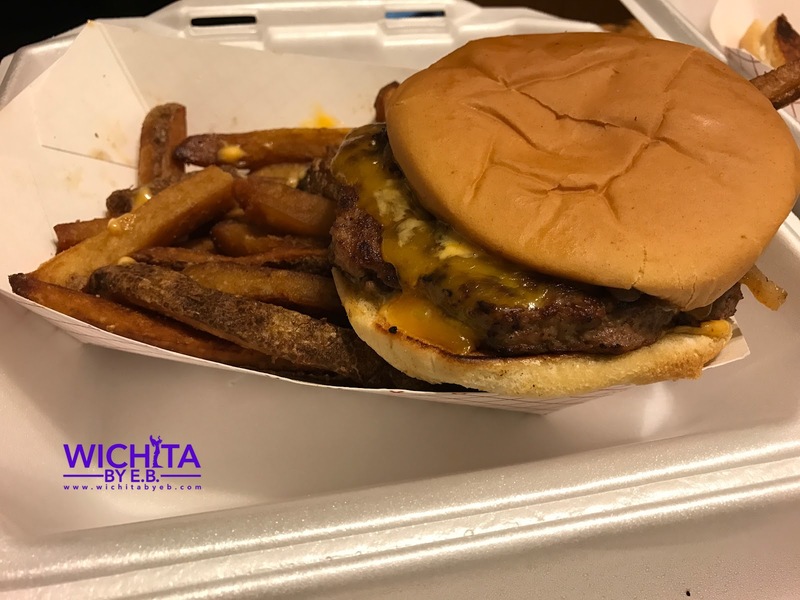 But I’m glad I took a brief break from my burger hiatus because Lil’Bit Gourmets offered a great one; possibly one of the best I have ever had from a food truck. While my preference usually isn’t hand cut fries of the thicker quality, they may be for you. Regardless we finished our fries with some spicy ketchup that I had hiding in my fridge. 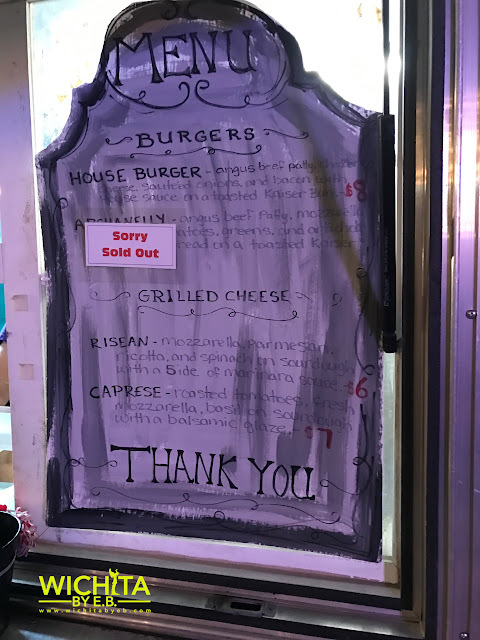 From my niece finishing her grilled cheese sandwich and the House Burger, Lil’Bit Gourmet Burgers was one of those trucks that really took me by surprise. I wasn’t expecting much from my visit and they certainly exceed my expectations. 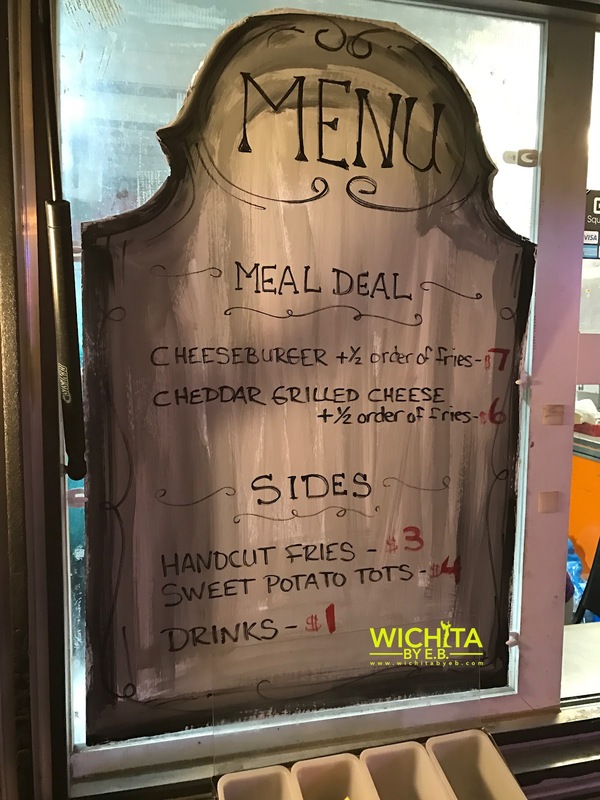 You can definitely label them another winner of a truck in the Wichita Food Truck Scene.